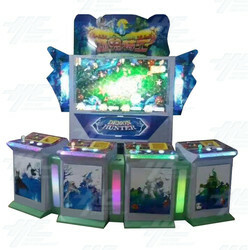 This is an 4 Player Luxury cabinet with bright led lights. It has a 55" LCD monitor and comes with high quality joysticks, Shoot & Weapon buttons. This machine also has Key in /Key out function and powerful Stereo Loud Speakers for enhanced gaming experience.